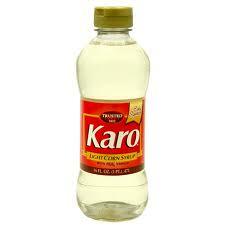 High-fructose corn syrup is a ubiquitous ingredient present in processed foods and sugary beverages across the globe. It is a well-known health destroyerwith ties to conditions like metabolic damage and cancer. Now, scientists have revealed that the substance — oftentimes genetically modified — may also be damaging the brain functions of consumers worldwide. The official release goes as far to say that high-fructose corn syrup can make you ‘stupid’. Conducted by the UCLA and published in the peer-reviewed Journal of Physiology, the study is the first to demonstrate how a diet heavily concentrated with high-fructose corn syrup can hamper brain functions — particularly those associated with memory and learning. “Our findings illustrate that what you eat affects how you think,” said professor of neurosurgery Fernando Gomez-Pinilla, from the David Geffen School of Medicine at UCLA. The findings should come as no surprise, given that it has previously been revealed that high-fructose corn syrup oftentimes contains the toxic heavy metal mercury. Mercury is highly dangerous and can cause serious complications with biological function — particularly when exposed to the substance on a daily basis through food intake and other sources (CFL light bulbs, amalgam fillings). 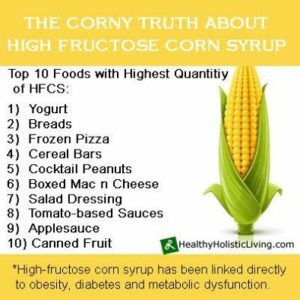 Despite the negative effects of high-fructose corn syrup on the brain, the scientists found that there are natural solutions that can help to minimize and negate the damage. Scientists found that omega 3′s helped to fortify the brain after observing the results of feeding both flaxseed oil and DHA to the study rats. The scientists found that the omega 3′s were helpful in aiding the ability of brain cells to transmit signals to one another. As a result, memory and total mental ability is improved. 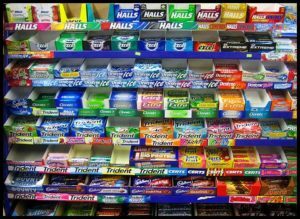 Every time you chew gum, your brain is tricked into thinking that you are eating food and sends signals to your stomach, pancreas and other organs involved in digestion to prepare for this “food”. Your salivary glands and pancreas begin to emit enzymes necessary to digest food and absorb nutrients from food. Constant emission of enzymes can deplete enzymes and over time the process can slow down. If you are not breaking down and absorbing food properly, you get diseases because the body needs nutrients to rebuild and thrive. An alternative gum for fresh breath is to carry a small bottle of organic food grade peppermint oil and put a drop in your mouth to achieve the same effect. A breath freshener used ages ago that I like is to chew a few fennel or dill seeds. They are very refreshing to the breath . . . and free. Fennel and dill are super easy to grow and bear enough seeds to supply the family! Nothing in gum is natural. It is chemical glob that in no way contributes to health or is good for your teeth. 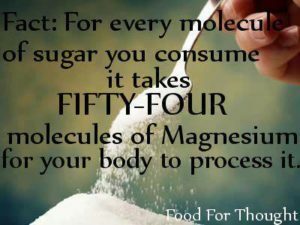 The five ingredients reviewed above contribute to disease and poor health. 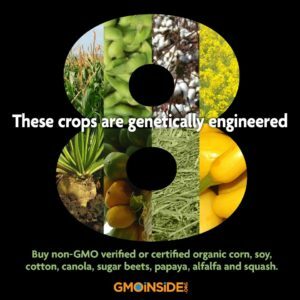 What product ingredients commonly contain genetically engineered crops? 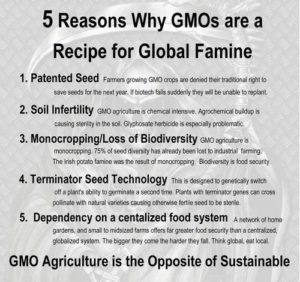 Why should we be concerned about GMOs? Human Health Risks: More and more studies point to the idea that there’s grave cause for concern about the health effects of consuming GMOs and the chemicals they are sprayed with, including food allergies, irritable bowels, organ damage, and cancer. Environmental Risks: Seventy-two percent of US GMO crops are engineered to tolerate a certain type of herbicide. But the weeds that these herbicides used to kill are coming back bigger and stronger, creating herbicide-resistant “superweeds” that require greater quantities of more toxic pesticides to eradicate. The Risk To Farmers In Developing Countries: Every thirty minutes, a farmer commits suicide in India due to meet rising debts, a phenomenon that has been steadily rising since the 1970s. 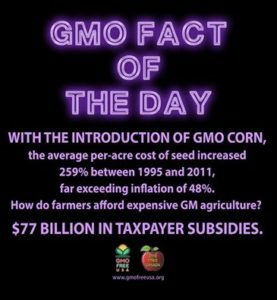 While the causes behind the farmers’ crushing debt and resultant suicides are complex—ranging from unfair government floor prices for cotton to international trade agreements skewed in favor of other countries—GM seeds do appear to play a role. The Risk to Organic Farmers: Even when a farmer isn’t growing GM crops, contamination can easily occur—through seed mixing or pollen drift from neighboring GM fields. While this contamination is troubling for those of us who wish to avoid GMOs, it can be an economic disaster for organic and family farmers. There are several choices you can make when buying groceries and eating out to try and avoid GMOS. 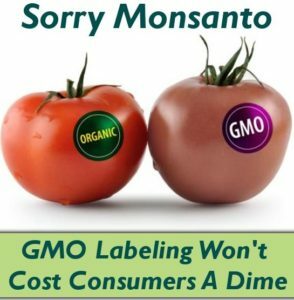 Look for the Non-GMO Project label. Buy organic certified produce and packaged foods. 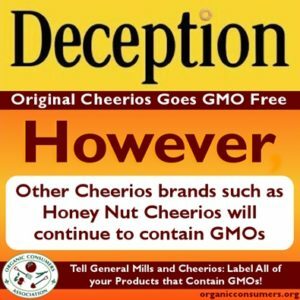 Be wary of non-GMO claims that lack certification. Buy and plant your own organic seeds. 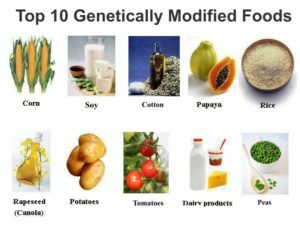 The United States government has allowed genetically modified and engineered organisms to enter the public food supply with no warning. 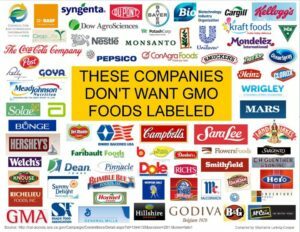 Every day, millions of people unknowingly ingest these GMOs because corporations like Monsanto (and the politicians they’ve bought and paid for) claim it’s unfair to require them to label their products. Multiple scientific studies have linked GMOs to illness, disease, and mutations in plants, animals, and humans. Adverse affects are especially pronounced in pregnant women and children. The low price, processed foods carry most of the world’s GMOs. The only way to protect yourself from these toxic “foods” is to avoid buying and eating them. These are the foods that are worth the extra time it may take to research origins and the extra money it may cost to buy organic. Buying local is ideal, because you can contact the farmer directly to ask what kinds of seeds are used. Tomatoeswere the first genetically modified crop to be commercially available in the U.S. In 1994, transgenic tomatoes known as FlavrSavrshit the market. They contained a “deactivated” gene that was supposed to prevent the fruit from getting soft as it ripened. It didn’t work as well as biotech companies hoped. Now, experts are praising a new technique whereby two enzymes, (A-Man, B-hex) are suppressed. There have been reports that some animals have died shortly after consuming GMO tomatoes. CornThis one is tough, because even foods that you wouldn’t normally associate with corn have ingredients, like sweeteners, that are derived from GMO corn. 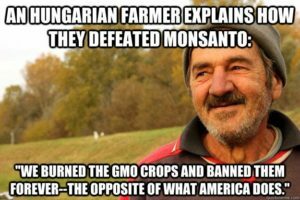 As Care2′s Jaelithe Judy reports, genetically modified cornand soybeans were developed by Monsanto in the 1990s to be resistant to the synthetic herbicide glyphosate (better known by Monsanto’s trademarked name for the weedkiller, Roundup). 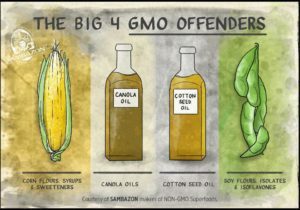 Now, more than 70 percent of corn produced in the United States is the genetically modified, herbicide-resistant variety. Fresh corn from Walmart should be especially avoided. PapayasIn the late 1980′s biotech researchers developed a papaya cultivar that would be resistant to Papaya Ringspot Virus. To do this, certain viral genes encoding capsid proteins were transferred to the papaya genome. Now, GMO papayas make up about 75 percent of the total Hawaiian papaya crop. Riceis considered to be one of the world’s staple crops. In many areas, it has been genetically modified to contain a high amount of vitamin A. More recently, it was discovered that an American company, Ventria Bioscience, has been cultivating rice that’s genetically modified (GM) with genes from the human liver. Although the company claims it’s only producing this rice to help speed pharmacuetical research, it’s growing it in open, outdoor fields. Meaning crops nearby can be unknowingly contaminated. China, which grows and consumes a huge percentage of the global rice supply, recently suspended distribution of genetically modified rice within its commercial food supplies over growing concern about its safety. Research links Monsanto’s GMO corn to cancer, tumors and an increase risk of premature death in both men and women. News of the research is spreading like wildfire across the ‘net, and support for Proposition 37 — which seeks to label GMOs in foods — is growing by the day. 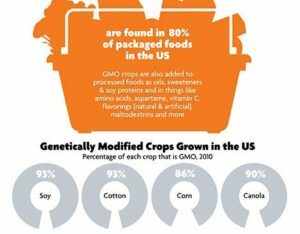 According to the Center for Food Safety, up to 85% of the corn grown in the United States is genetically modified. This means corn-based cereals that use non-organic corn have a very high likelihood of containing GM corn. The following list presents the top 10 popular breakfast cereals most likely to contain Monsanto’s genetically modified corn. The exact GMO content of these cereals remains a mystery precisely because manufacturers of these cereals refuse to label them with their GMO content. Legal note: This article is presented in the public interest, reflecting reasonable caution over a common food ingredient which French scientists have now convincingly linked to cancer and premature death in studies conducted on rats. Many “natural” brands that appear to be healthful and natural are actually not organic or GMO-free. For example, “Barbara’s Bakery” cereals are not organic. Although they are positioned in store shelves alongside other organic cereals, they are actually made with conventional crops grown with pesticides that may include Monsanto’s Roundup. You may notice that most of the cereal likely to contain GM corn are children’s cereals. It is the children in America who are being fed the most GMOs. 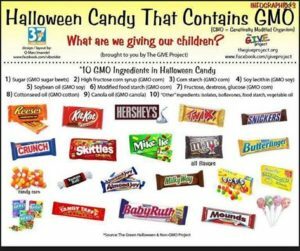 This represents a highly unethical food experiment being conducted on an entire generation, and the long-term effects of human consumption of GMOs are simply not known. 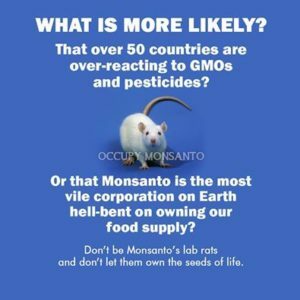 What we do know is that rats fed this very same Monsanto GM corn developed shockingly large cancer tumors. The photo released by the French research team, showing large cancer tumors growing at a strongly heightened risk in rats fed a “lifetime” of Monsanto’s GM corn, is shown below. According to that study, 70% of females died premature and showed significant damage to their liver, kidneys and other organs. 1. 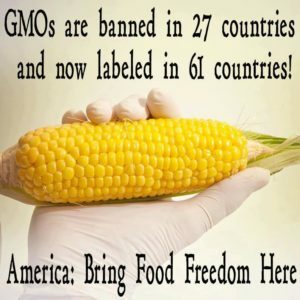 Corn: As many as half of all U.S. farms growing corn for Monsanto are using genetically modified corn,” and much of it is intended for human consumption. Monsanto’s GMO corn has been tied to health issues that include weight gain and organ disruption. 3. Sugar: According to NaturalNews, genetically modified sugar beets were introduced to the U.S. market in 2009. Like others, they’ve been modified by Monsanto to resist herbicides. 5. Papayas: GMO papayas have been grown in Hawaii for consumption since 1999. Though they can’t be sold to countries in the European Union, they are welcome with open arms in the U.S. and Canada. The dangers of some of these foods are well known. The Bt toxin being used in GMO corn was recently detected in the blood of pregnant women and their babies. All the risks that are still unknown. 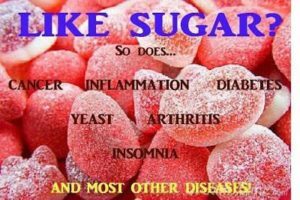 Sugar cravings and eating too many foods that contain sugar may cause health problems such as diabetes, obesity, and heart disease. 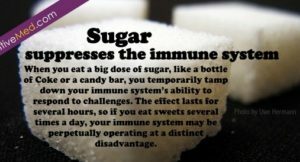 The sugary foods that you eat will cause blood sugar to increase quickly and then crash. The blood sugar crash then makes you crave more sugar, so you eat more sugary foods and the cycle continues. 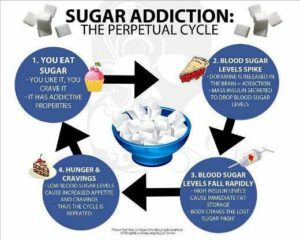 According to Dr. Deirdre Rawlings of the Clayton College of Natural Health, one can break this unhealthy cycle by eating healthy foods that fight sugar cravings. Another vegetable that tastes sweet when cooked is the sweet potato. Sweet potatoes can be chopped up and then fried to make sweet potato fries. Sweet potatoes will not only satisfy sugar cravings, but supply the body with vitamin C, vitamin D, vitamin B6, and iron. The nutrients in sweet potatoes can help prevent heart disease, cancer, and other degenerative diseases. The extraordinary properties of cinnamon can help fight sugar cravings. The main active ingredient of cinnamon is hydroxychalcone, which helps enhance the effects of insulin and satisfies your sugar cravings. Cinnamon prevents the blood sugar spikes that cause sugar cravings and normalizes blood sugar levels. Tomatoes can also fight sugar cravings because they are high in serotonin. Studies suggest that low serotonin levels are among the main causes of sugar cravings. The serotonin in tomatoes functions as a neurotransmitter that tells a person’s brain that his sugar cravings have been satisfied. Tomatoes are high in chromium, a mineral that reduces food cravings, regulates cholesterol, fat and blood sugar levels. 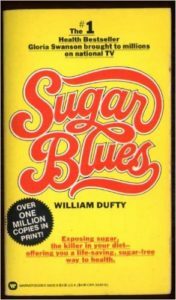 Get Rid of Sugar in Your Diet – Sugar is addictive. It is in almost everything in a grocery from vitamins to cereals, canned goods, sauces, pickles, jams and jellies, breads, and numerous drinks. Not to mention the candy and cake and cookies! 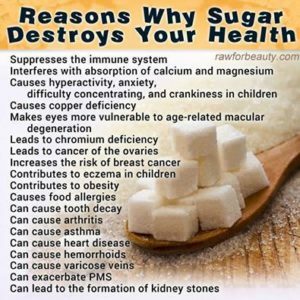 For you to eat 1 teaspoon of refined sugar, you would have to eat 8 pounds of sugar beets! Nobody does that. It’s not normal. 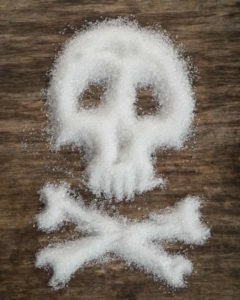 Too much sugar throws you off balance, can cause heart disease, diabetes, and give you the sugar blues! 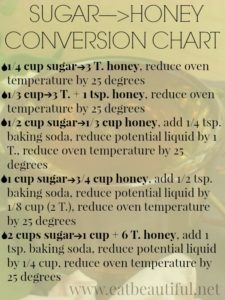 Use natural sugars like honey, molasses, or dark maple syrup occasionally but cut sugar out of your diet as much as possible. Eat quality meat and eggs from pastured or grass fed animals at each meal to control blood sugar. Eat wild fish 3 times a week for omega-3′s. Eat good fat at every meal from coconut oil, grass fed butter, ghee, red palm oil, olive oil for balanced hormones. Drink 64 oz of pure water daily for proper cellular function. Eat 4 cups of colorful vegetables daily to Detox. Clean out your cupboards of tempting snacks and treats. 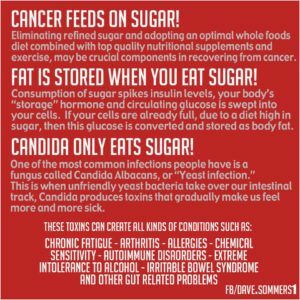 Don’t buy sugar filled products. Associate with people who do not eat sugar for support. Do some exercise like walking, circuit training, sprinting, intervals 3 days a week. Practice deep breathing and slow stretching everyday. Find your burning reason to do this and keep it posted on the fridge. Get 8 hours of sleep from 10:30 pm to 6:30 am every night. Work with a qualified health care practitioner to help choose sugar detox supplements. 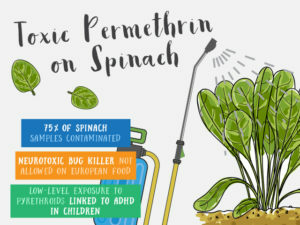 This is the latest research on pesticides and insecticides in our food. Buy organic or better yet – Grow your own. Apples – Cancer causers, hormone disruptors and neurotoxins have all been detected on apples, 98 percent of which test positive for pesticides. Because they’re so popular and are eaten daily by so many people, apples earned the top spot on EWG’s list of foods you should always buy organic. Blueberries – More than 40 different pesticides were found on blueberries grown in the U.S.
Cherries – One of the most commonly used pesticides on cherries, carbaryl, is suspected of causing cancer and may lead to neurological diseases such as Parkinson’s and to birth defects. 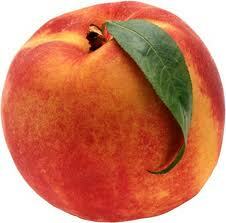 Nectarines – The USDA found the average imported nectarine contained more pesticides by weight than any other food. Domestically grown nectarines didn’t fare much better. They contained the same range of pesticides, but at lower levels. Peaches – Many of the pesticides used on peaches are systemic. They’re sprayed on a tree before it bears fruit, but the chemicals wind up getting into the fruit as it grows, and there’s no way to remove them. Pears – 92 percent of pear samples tested positive for at least one pesticide residue, while 26 percent were tainted with 5 or more pesticides. Imported Plums – The most common pesticide found on plums imported from abroad (mostly Chile) is iprodione, which the Environmental Protection Agency has dubbed a “likely” carcinogen. Strawberries A single sample of strawberries tested by the USDA contained 13 different pesticides. Grapes – More pesticides are used on grapes than on any other fruit. Combined, the various samples of grapes used in the 2012 EWG report contained 64 different pesticides. 1. Peaches. Farmed peaches are number one because so many pesticides are needed to grow them. Their skin absorbs much of it infecting the flesh with carcinogenic chemicals that outweigh the peach’s natural health benefits. 2. Apples. Many apples are grown in mid-western states where they are not native and haven’t developed natural defenses to predators. They are treated with many harmful pesticides that seep into the peel. You can peel your apples but lose a third of the nutrients and some flavor. 4. Celery. This vegetable has no skin and the pesticides are absorbed directly into the plant. It’s best to buy this fresh and organic. 5. Strawberries. Their skin doesn’t absorb as much as a peach but they are small and we don’t often wash them carefully. The Organic Trade Association stated that more than 371 pesticides are approved for use on U.S. strawberries and because they grow close to the ground, they are subject to chemicals used on soils. When it comes to these items, try to buy these in organic form to avoid the excessive amounts of pesticide. These 15 produce items are known by the EWG as the “clean 15″. They have the least amount of pesticides and would be considered the items to buy if you can’t afford to go completely organic. Based on an analysis conducted over a period of time between 2001 – 2009 by the USDA and FDA, 53 popular produce items were tested creating a series of 51,000 tests. The produce items were rinsed and peeled to recreate the general conditions in which they are consumed. 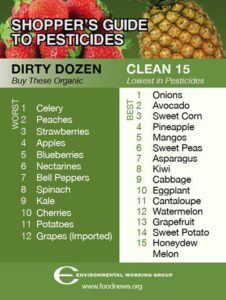 The conclusion of the analysis confirmed that if someone were to eat from the clean 15 and purchased organically from the dirty dozen, they would lower their pesticide intake by 92%.